osthoff-senge Hairiness Tester provides the possibility to control the singeing effect objectively. 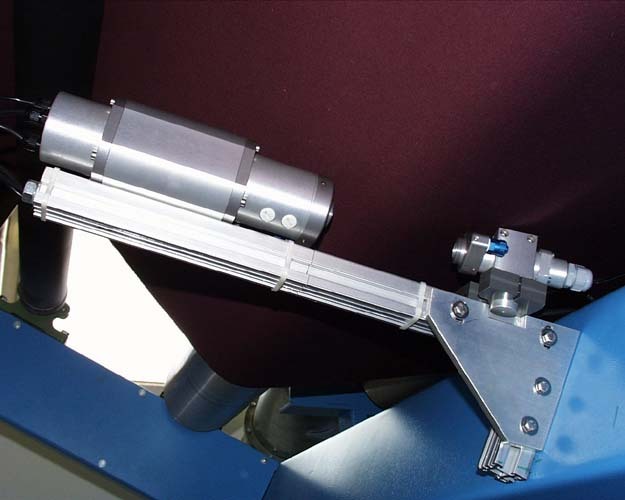 By means of a laser beam the fabric surface is monitored and the hairiness of the fabric is displayed on the screen of the SENG-MATIC. The measured information can be printed simultaneously and used as a set value for the control of the singer in order to achieve the programmed effect. The Hairiness Tester can also be delivered as a lab instrument working on the same principle using fabric samples and display showing the average measured value. Machines and ranges from osthoff-senge, together with the experience of their engineers and technicians ensure that, combined with the skills of your own staff, your fabric will be SINGED AND PREPARED TO PERFECTION.